Have you thought of a Celebration Pie? 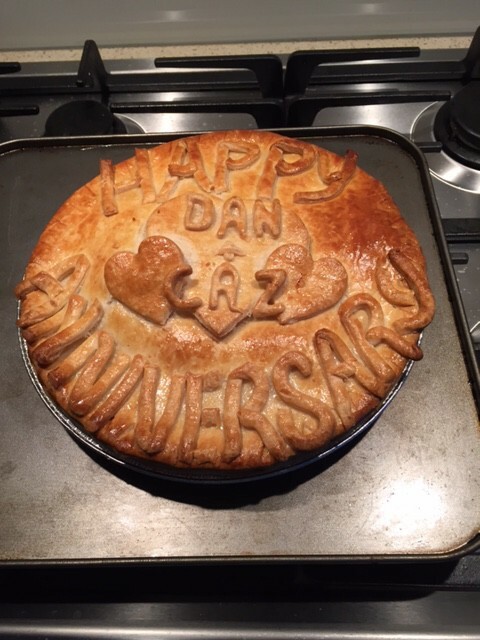 Our chefs can create something really special for any family occasion, featuring names, birthday, wedding, anniversary, celebratory messages and more hand-crafted on the pastry top of any Green’s pie. Talk to us in the shop and find out how we can create something for your special event. Our specialist pies are made the old-fashioned way with top quality ingredients – real meat and superb traditional pastry – all made by hand under Philip’s personal supervision. For more information, talk to us in the shop, give us a call on 01189 842063 or on email info@greensofpangbourne.com.